I cannot take a bad photograph of an agave plant. And I am thankful for that fact. I was not inspired by anything I photographed on my walk this morning. As I looked over all of the images on my computer which I took today, I despaired of finding something for this blog post. Then I noticed a throw-away snapshot of an agave plant. I had actually turned around and gone back to take this photo because the light green area on the center of just one leaf caught my eye. Since I wasn't happy with any of the other photos, I decided to go ahead and process this one. And came up with another winner. Which is strange, since every agave plants looks exactly like every other agave plant. 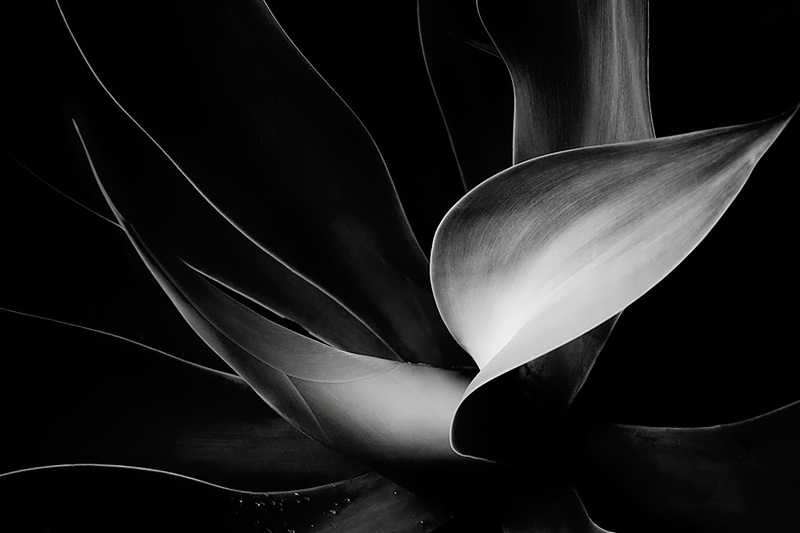 Even so, I get inspired every time I shoot and process an agave photograph. And I think it shows in my final image.